Where Do You Turn For Travel Advice? Are you one of those people who before you decide on a vacation type or destination do a lot of personal research. Are you someone who wants to know what others are saying about it. Often we will talk to friends but many, if not most, will turn to the Internet. After all, "if it's on the Internet it has to be true." Cruisers will turn to a website like Cruise Critic where they will find reports on the various ships and destinations and most importantly reports of the experiences people like them have had on a particular cruise. Others might turn to Trip Advisor where folks (myself included) make regular reports about our experiences at destinations, resorts, hotels, restaurants etc. Let me up front acknowledge that I visit these site regularly to see what people are saying. However, because I have been around a while I know that just because it is on the Internet does not mean it is true or that any one review represent what is normally experienced by folks at a destination, resort or cruise. 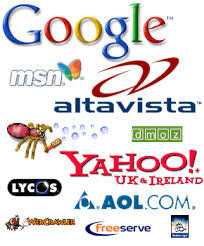 Keep in mind that these sites are tools and like any tool you need to know how to use it. Used properly they can help you and your Travel Agent plan the perfect vacation. When used improperly they might cause you to miss out on a great vacation. Now, having said that I want to make a few suggestions on how you should use these tools that the Internet has placed at your disposal. The first thing I do is look at the date on the latest three evaluations. It's really pretty simple. If the dates of the latest opinions is an old date then the opinion is an old opinion. That is, it is out of date and may reflect a condition that at the time was accurate but no longer exists. So my first rule of thumb is that you make sure the date of the review is reflective of what is going on today not a year ago. Pay attention to the number of reviews for your event. One or two reviews is totally inadequate for making a decision. This is especially true if they are made on or near the same date. When you have a bunch of opinions within a short time period it usually means that a supplier is either hyping their product or being critical of a competitor's product. Another possibility is that it is a lot of people who, lets say were on the same cruise that went bad but certainly does not reflect what is normal for that particular cruise. Personally, I want to see a dozen or more entries from a variety of people living in different parts of the country. Always keep in mind that people who are disappointed or angry over something are more prone to say something that people who are happy. People who perceive they have been "short-changed" will tell 25 people where as people who are happy with their experience will only tell 5 people. Translated to the Internet you can count on unhappy travelers to report their opinion more often and in more places that those with happy experiences. You should also understand that what might leave one person disappointed may be exactly what another is expecting. Another thing to consider is whether all the reviews are critical or they are positive. No vacation product has ever pleased all the people all the time. So I suggest simply disregarding or skipping over those. I'd also look askance at any set of reviews that sound too much alike. I am not suggesting that you not use these resources. To the contrary, I encourage you to seek opinions from as many sources as you can. Tell your friends what you are contemplating and ask their opinions. Go to the above mentioned websites and see what others are saying about what you are thinking of doing on your vacation. However, the most important piece of advice I can give you is that while you are doing all this research you also consult with a travel agent/consultant. They usually know these travel suppliers or they know how to find out what the real story is on a given vacation supplier. You travel agent can help you find your way through this maze of positive and negative information you've found on the Internet. They can help you choose a vacation that will fit your needs and offer you the best opportunity for a great vacation. Many of them have actually done what you are thinking of doing or been where you are considering going and thus have personal experiences upon which they can draw. Trust me, because they want your repeat business they will never intentionally steer you in the wrong direction. So, the bottom line is this, even if you want to do all that research USE A TRAVEL AGENT to book your cruise.